I read this article and found it very interesting, thought it might be something for you. The article is called J&K: Polarisation Pushes BJP to Top Vote Share and is located at https://archive.indiaspend.com/cover-story/jk-polarisation-pushes-bjp-to-top-vote-share-46532. Prime Minister Narendra Modi may have pushed a development agenda in campaigning for the Jammu and Kashmir state elections, but it is now clear the vote splintered sharply along religious lines. Not only did the Bharatiya Janata Party (BJP) lose contests for all 47 seats in the Muslim-majority Kashmir Valley, in the Jammu region, where it won all its 25 seats (of 36 contested statewide), only one BJP winner, Abdul Ghani Kohli, is a Muslim. 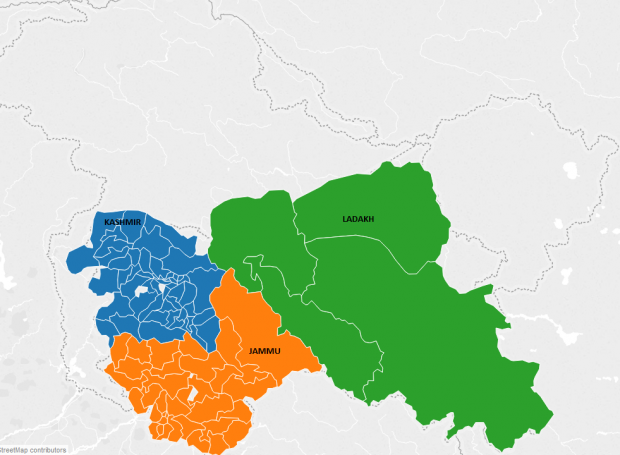 Our map below, showing how the BJP’s candidates fared in Jammu, Kashmir and Buddhist-majority Ladakh, clearly indicates how the party rode on an almost exclusively Hindu vote. Indeed, as the Hindu reported, Kohli is only the fourth BJP elected representative nationwide, of more than 1,000 members of Parliament (MPs) and members of legislative assemblies (MLAs). The Hindu-majority Jammu region has experienced tensions with the Valley since before Independence, but the recent vote, analysts said, represents an unprecedented polarisation. 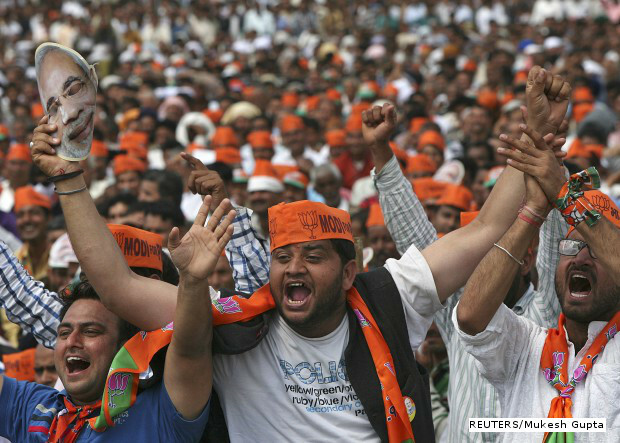 The polarisation of votes in Jammu alone was enough to propel the BJP to its best-ever performance in J&K. From 11 seats in the previous assembly elections, the party gained 14 seats this time. While the People’s Democratic Party (PDP) is the single largest party with 28 seats, its votes came mainly from the Valley. The PDP’s vote share, at 22.7%, is actually lower than the BJP’s 23%. It is not clear how much of a factor aspiration was in the state’s three regions, but development as a message failed entirely in the Valley, which turned out in record numbers to vote, perhaps to ensure the BJP’s defeat.